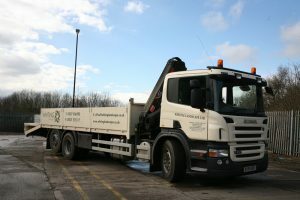 Whiting Landscape, based in Bromsgrove, Worcestershire, has just entered into service a Scania P285DB6X2MNAD. Established in 1977, Whiting Landscape has developed into one of the most experienced and respected companies within the industry, encompassing all aspects of landscape construction. Working nationwide for a diverse range of clients, Whiting have built a reputation based on quality and reliability with their motivated team committed to raising landscaping standards. 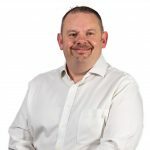 They operate from a purpose built, modern head office and nursery facility, centrally located and adjacent to the Midlands motorway network providing ease of access nationwide. Tony Biddlestone of Keltruck sold the truck, which will be Whiting’s fourth Scania, to Simon Jones (Plant & Transport Manager for Whiting Landscape). The truck will be looked after at Keltruck Droitwich on a 5 year full R & M contract.